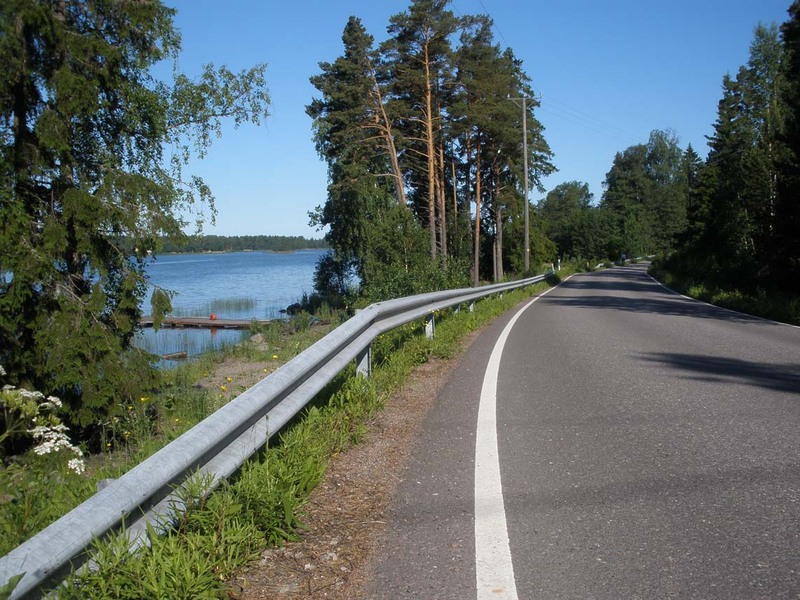 The Bothnian Coast Road used to run, as the name states, within sight of the sea. The withdrawal of the latest ice age and the melting of the ice masses have considerably changed the landscape of the coast along the Gulf of Bothnia. On the shallow beaches of the west coast the strong land uplift has affected the landscape in such a way that there may nowadays be several kilometres of forest between the Bothnian Coast Road and the sea. On the other hand, from many places along the road there are still breathtaking views over the sea, especially in Ostrobothnia and Northern Ostrobothnia. In Satakunta, in Keikvesi in Ahlais village in Pori there is still one place with a sea view from the Bothnian Coast Road. Old maps from along the Bothnian Coast Road have been gathered under the link Old maps. The effects of the land uplift on the changes in the landscape can be observed when comparing old maps with modern ones.